The original Tray Run Viaduct was considered a marvel of its time. Below are two prints of the famous bridge. 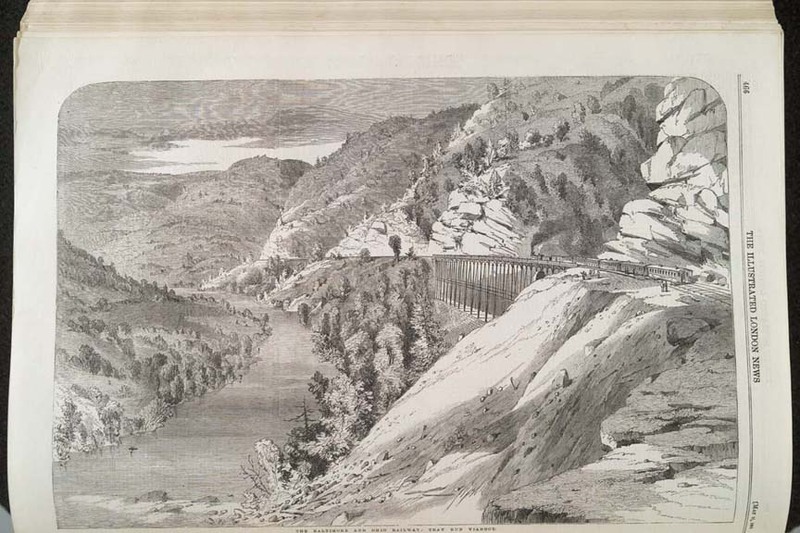 Mr. Albert Fink, who created the nation's first iron railroad viaducts, was assigned the task of crossing a deep ravine on a steep hillside just west of Rowlesburg on Cheat River grade. His steel framework bridge was featured in the London Times (below) and was the subject of many artists of the day. 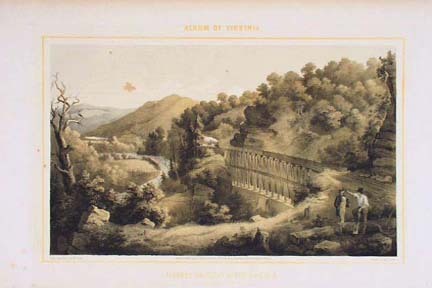 One painting of the bridge appears in a volume in the Virginia Library as shown in the second print below. Shown next is a lithograph illustrating the Sixteenth Ohio Volunteers crossing Tray Run Bridge on their way to join the Army of the Potomac. The Fink bridge stood for more than 50 years and was replaced in the early 1900s by the stone arch bridge seen in the photograph below the lithograph. The arch bridge is on the reverse side of the West Virginia State Seal which signifies the importance of the railroad to the State's economy. The London Times featured this article on Tray Run bridge. This painting appears in the Virginia State Library. 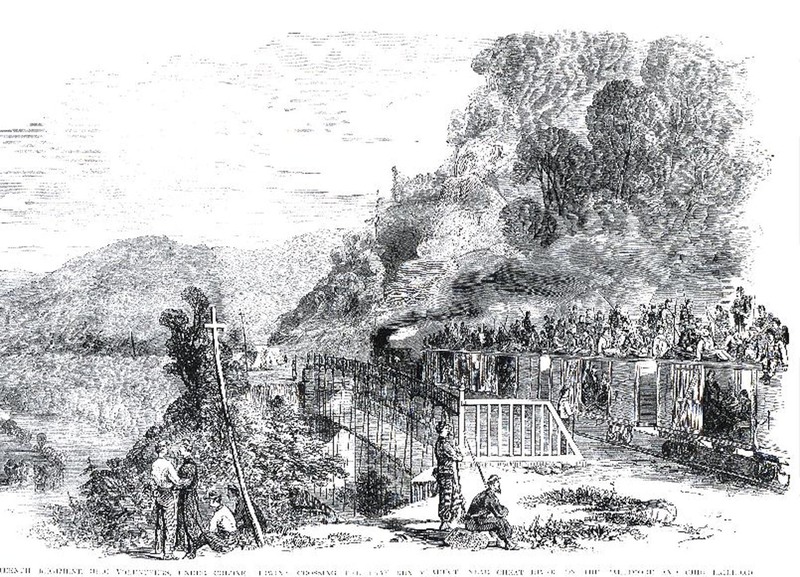 Etching of the 16th Ohio Volunteers crossing Tray Run.